A team of biomedical scientists have revealed that exposure to certain cleaning products could put people at an increased risk of breast cancer. The report, which was published in the open access BioMed Central’s journal Environmental Health, revealed that solid air fresheners and mould and mildew control products could be among the most likely to elevate the risk. 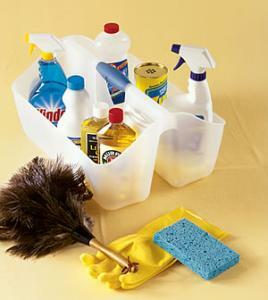 According to the researchers, some household cleaning and pesticide products could increase the likelihood of developing breast cancer because “many contain endocrine disrupting chemicals or mammary gland carcinogens”. The study asked more than 1,500 women about their risk factors for breast cancer. In addition, all the women were asked about their use of pesticides, with just over half also being asked about cleaning product usage. One of the authors, Dr Julia Brody, explained to the Daily Telegraph that women who had been diagnosed with breast cancer may “more accurately recall their past product use or overestimate it”, which some commentators have claimed could affect the results of the study.